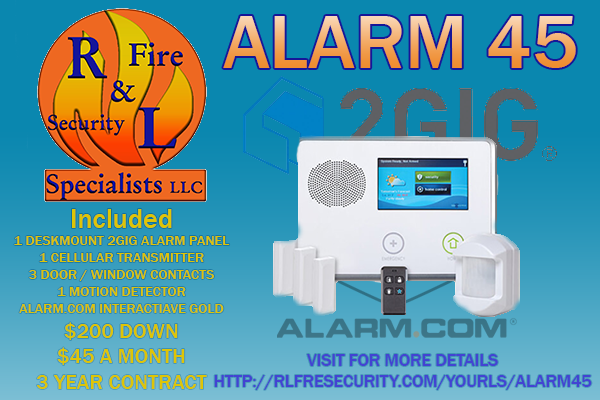 Security System - R&L Fire and Security Specialist's llc. The basic use of a security system is to monitor your home or business. If a security system isn’t designed to monitor a building correctly then at some point it will fail. A poorly designed system will leave security vulnerabilities to your building. Below is a list of basic rules that we go by when designing a system. After the basic need for security have been addressed then we look at what other concerns and available options that our customer wants. 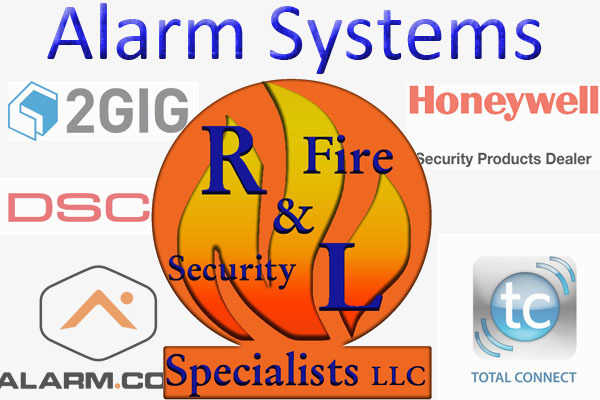 All security systems are not created equally that is why R&L Fire and Security is a provider of multiple systems to better suit your needs. Security system communications method to the monitoring station. This is part of the installation process that the system will communicate with-in the property, not to the monitoring station. Wired is physically connecting the devices to a control panel. There are advantages and disadvantages to each system. As a rule of thumb for R&L if we can run a wire to it, and make it look nice, we go wired. Below is a comparison of both types of systems. This is communication method in how the alarm system reports and notifies the monitoring station of an event. Once the monitoring station receives an event, they respond accordingly to what type of event occurred. We Offer three types of alarm communications. Phone line communications is the most basic path from an alarm to a monitoring station. In recent years there have been a lot of advancement in our nations phone infrastructure that not all phone lines will work with an alarm system. 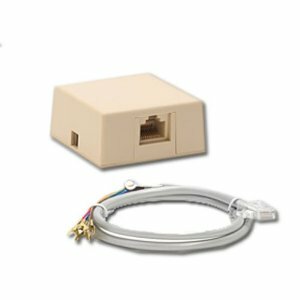 Cirtian types of VOIP phone lines will not work as well as most fiber optic phone lines or cell based phone lines. Monitoring prices for phone line communications are significantly cheaper but not as reliable any more.By the 2020, AT&T is planning on turning off the PTSN network. What this means is that at some point all communications will be digital and a lot of the back end hard ware might not be able to handle alarm communications. Cellular communications uses AT&T or Verizon cellular signals to send data to the monitoring station. This does not work like a regular phone line and it can’t be used to make calls. Cell communicators use the same services as text messages but are prioritized to make sure the signals get to the monitoring station. This form of communications has been the most reliable in recent years due to the multiple cell providers and a robust network. On January 1st 2016 AT&T shut down there 2G cell network. This has left many customers without alarm services. If a customer had an older 2G Cellular communicator, they had to upgrade there equipment to continue having there alarm monitored. A third option that we provide is transmitting alarm signals through the internet. 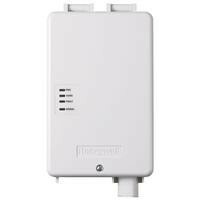 We have the option to use a wireless internet connection but for reliability reasons we prefer to have the network communicator hard wired to your network equipment. One issue with network communications is that all of the network hardware should be on a battery backup. One issue that we have with network communicators is that some internet providers lose service regularly. 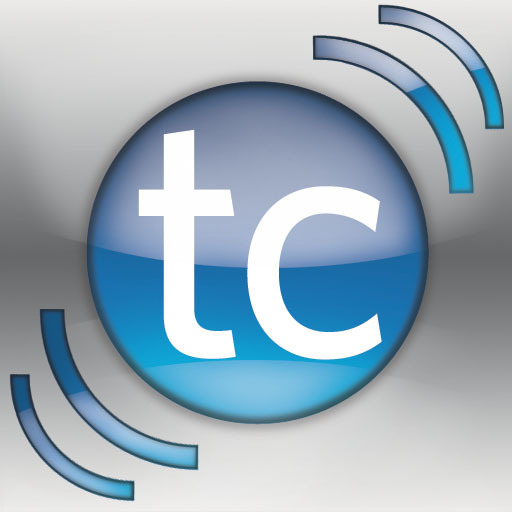 Remote services allow users to operate there alarm from a cell phone, tablet or computer. Depending on what alarm is installed determines what remote services are offered. A short list of basic remote features are below. We offer two remote service providers, Alarm.com and Honeywell Total Connect. Honeywell’s Total Connect services works on Honeywell Vista and Linx series alarm panels. 2Gig DSC and GE Simons panels use Alarm.com. 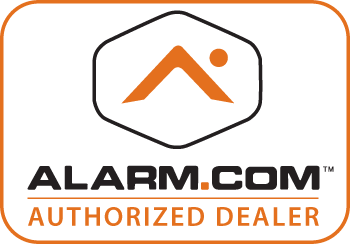 Our company is dedicated to find and use the most advanced but user friendly security systems on the market. Our techs are factory certified Honeywell Security Products and have been since we opened. We have expanded our product lines to include DSC Siemens and 2Gig. We entend to add more product details in the future.